The 140,000 square foot Rochester SCHEELS opened in 2015 and showcases the area’s largest selection of sports, fashion and footwear under one roof. Unlike a typical sporting goods store or department store, Rochester SCHEELS is a collection of entertainment venues, specialty shops and boutiques staffed with experts who focus on their passions. 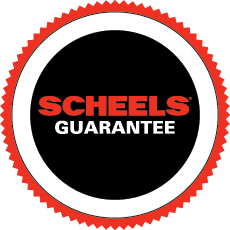 The Rochester SCHEELS features specialty shops ranging from technical running gear and the latest fashion, to spectacular hunting and fishing shops. The athletic shoe, hiking boot, and casual footwear selection is the largest in Rochester with everything for toddlers to all athletes, from serious hikers to beach goers, and from hunters to the fashion conscious. There is a World Class golf shop, bike shop, ski shop, canoe and kayak shop, and fishing shop. The gun and hunting shops offer the largest selection of guns in Southeast Minnesota. Special attractions include photo opportunities, Buck Hunter arcade, a shooting gallery, and roller ball mini bowling. Customers are also able to test their golf, soccer, hockey, baseball, football and basketball skills on the sport simulators. No shopping experience would be complete without tasty treats; SCHEELS coffee and fudge shop serves Starbucks® coffee and specialty drinks along with 24 flavors of homemade fudge. WHAT SCHEELS EXPERIENCE WOULD BE COMPLETE WITHOUT SOME PHOTOS? Come test out your aim at our shooting gallery! The president statues have always been an iconic part of Scheels stores. Check out which presidents the Rochester store has to offer. Come test out your skills on the golf simulator!